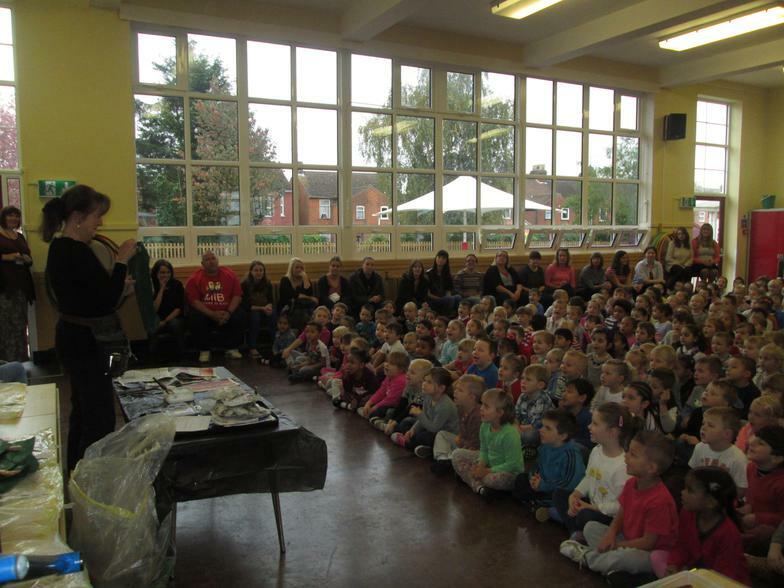 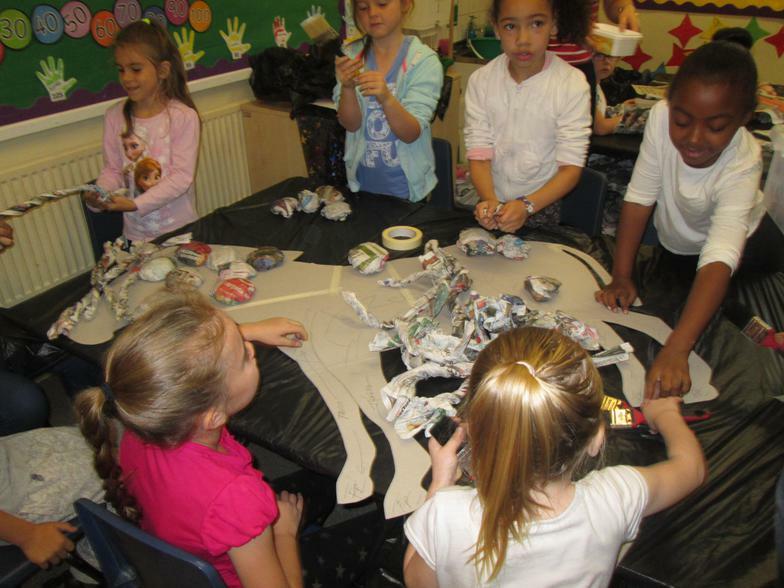 Today was the first day of our whole school 'On Safari' art project. 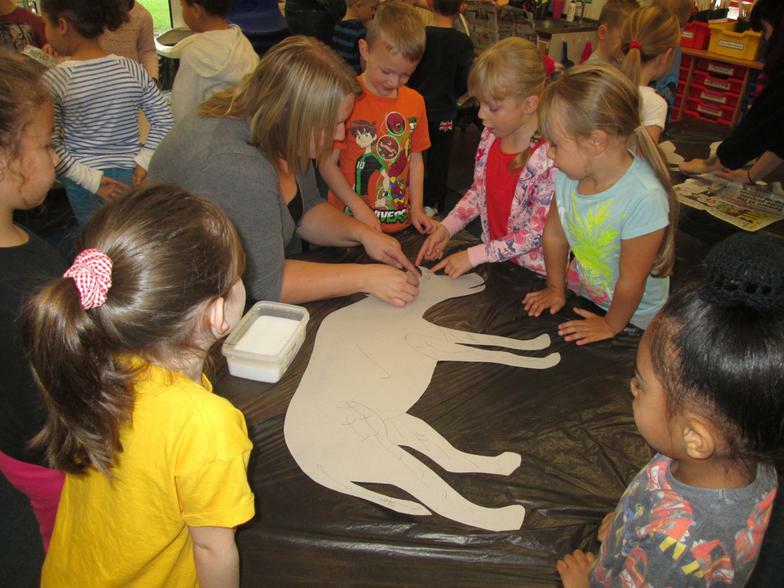 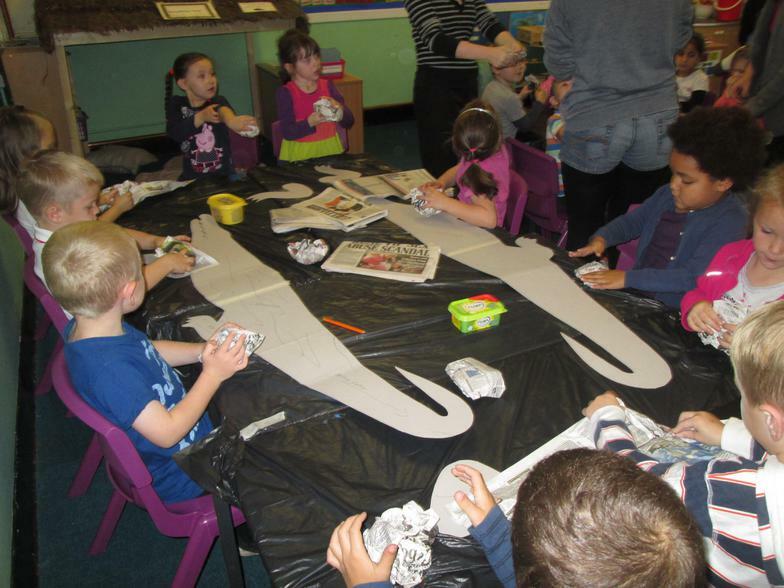 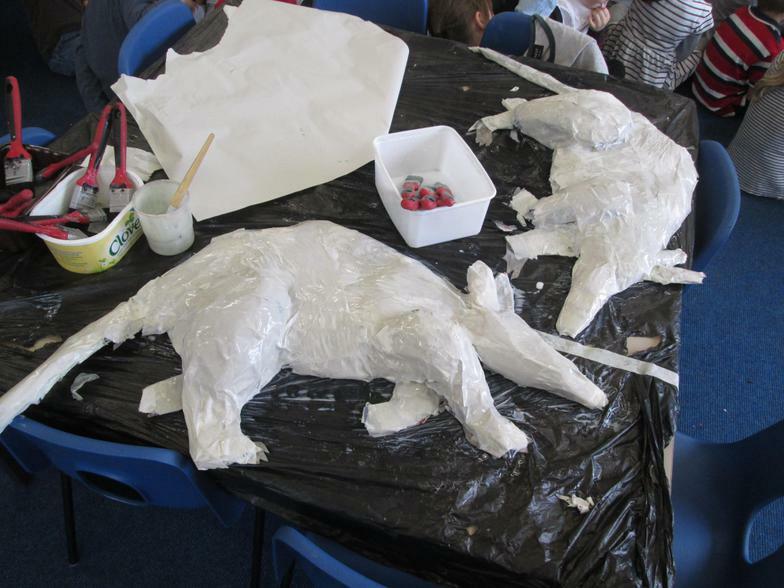 The children have been very busy learning new skills to create 3D African animals for displays around the school. 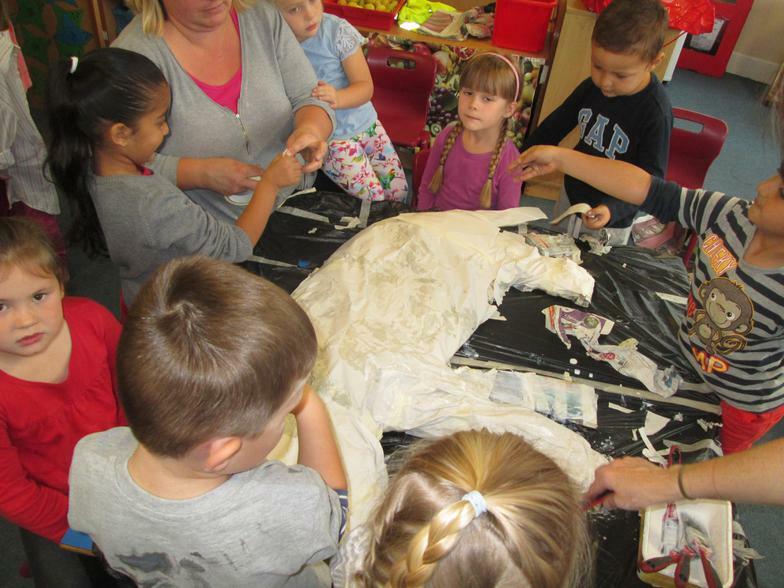 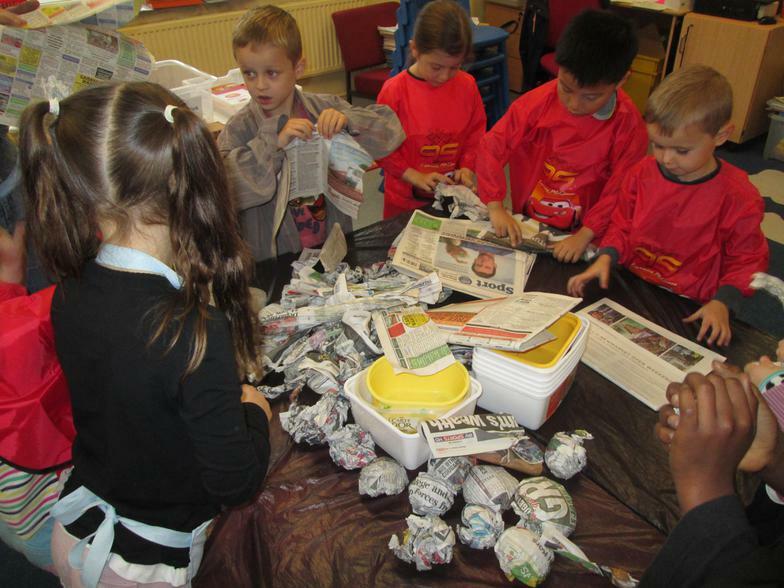 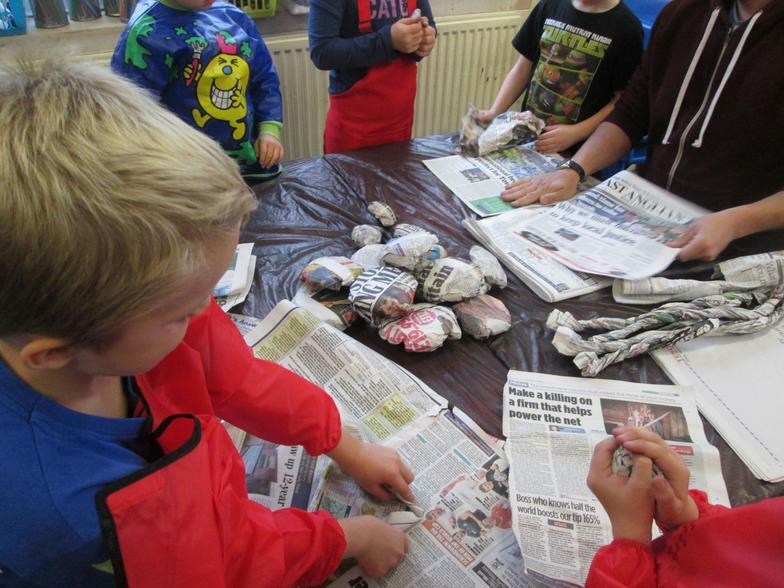 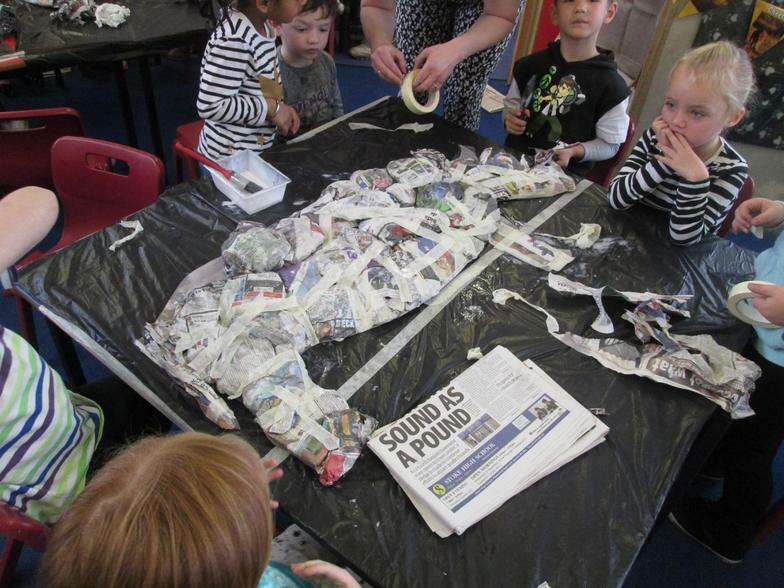 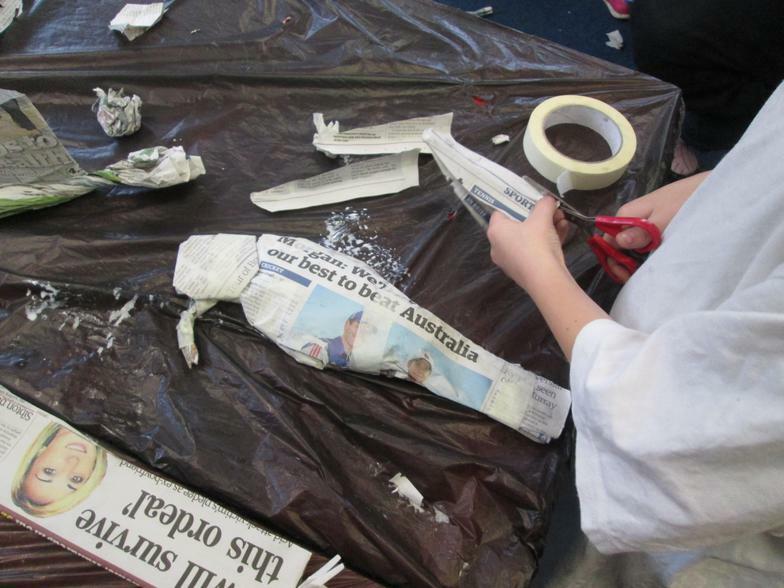 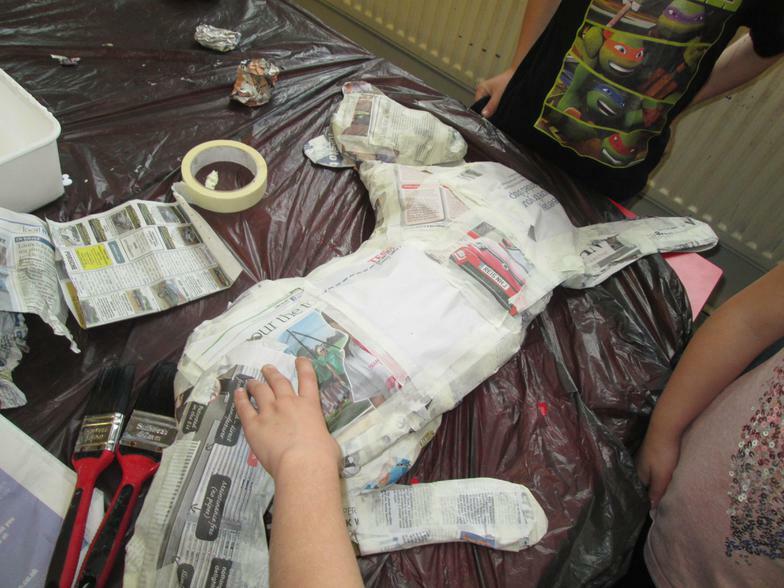 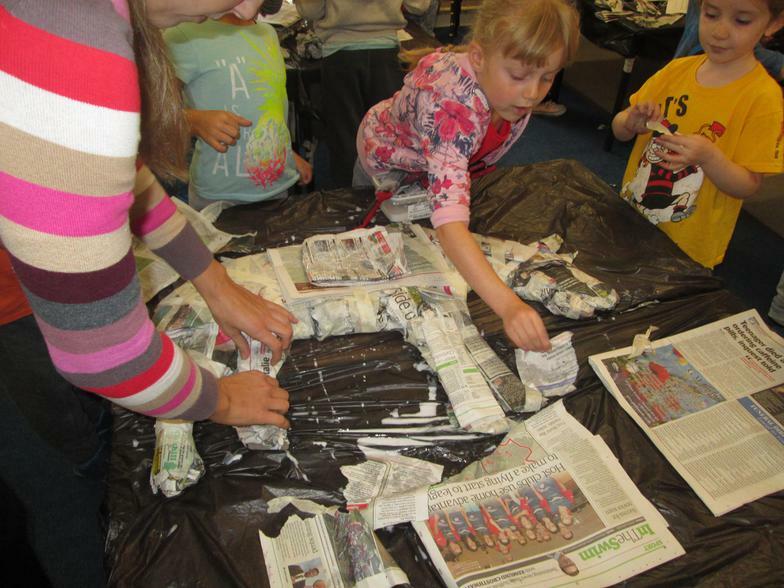 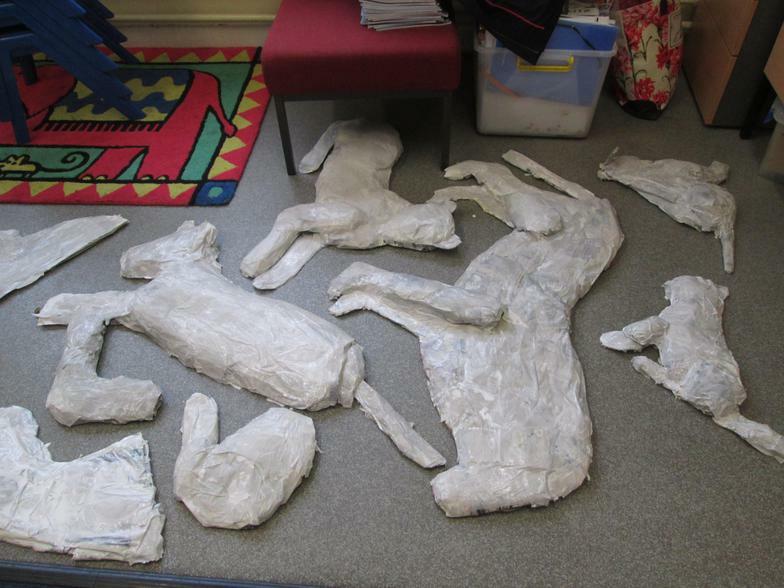 The children spent the morning building the structure of their animals using newspaper. 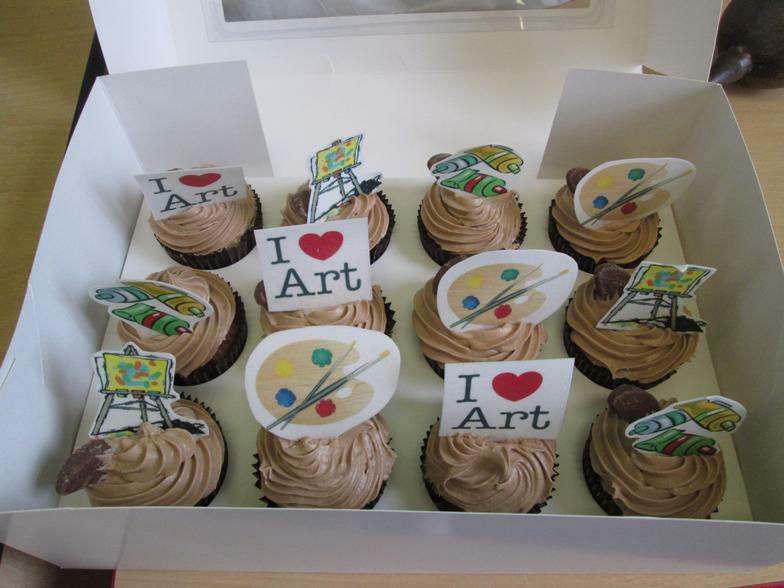 A huge thank you to all of the parents who kindly came in to help, donated art materials and even made some fantastic cakes for our visiting artists!